Some individuals who lose a back tooth question whether to replace it. After all, it doesn’t show when you smile and there are other teeth to take over the chewing functions. Why not skip the expense of replacing it? Actually, as the team at Karen E. Williamson DDS in Rockwall explains, there are very good reasons to replace a back tooth with a permanent dental implant. If a tooth tips, moves, or rotates, it can affect the bite. The unopposed tooth can also move, though it generally moves outward from the bone (over-eruption). Teeth that are displaced can become more vulnerable to gum disease, decay, or TMJ pain. Without the tooth root, the jaw bone recedes. This changes the dimensions of the face and gives it a sunk-in look due to a decline in supporting bone. The vertical shortening advances and becomes more pronounced as you get older. 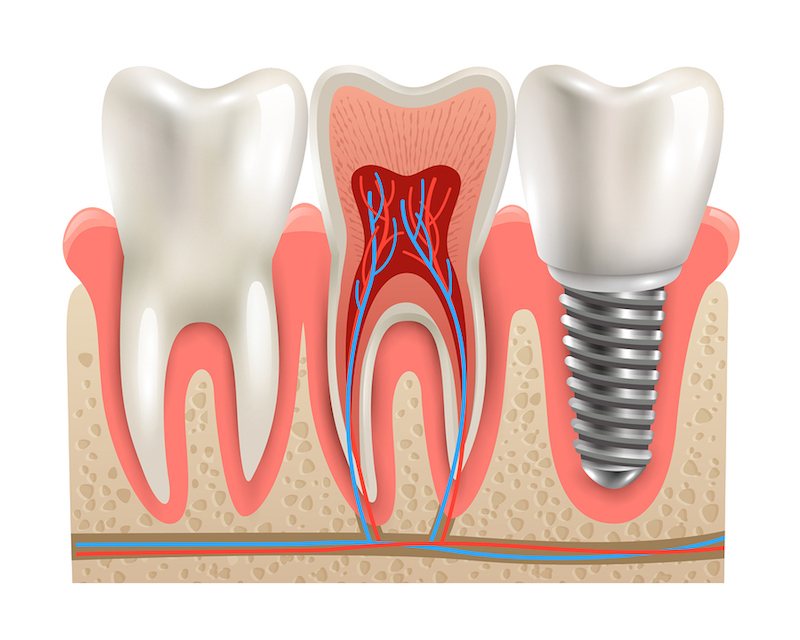 If you have a missing back tooth and want to learn about dental implants, call Karen E Williamson D.D.S. in Rockwall. We also provide general dentistry. Schedule an appointment with us today.